A lot goes into building a great Pay Per Click (PPC) campaign. Researching, organizing keywords into campaigns and ad groups, and creating relevant landing pages for your campaigns that are optimized to generate conversions. When running PPC campaigns in Google Adwords, it’s crucial that your campaigns and landing pages are relevant and regularly managed as it can help you reduce your overall costs and ensure that your ads show up when and where you want them to to attract new customers. 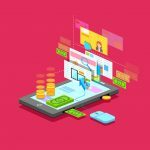 Unfortunately, there are a lot of common mistakes that small businesses and agencies make when running their campaigns that not only lower the chances of ads being seen, but also increase wasted spend across campaigns. Unfortunately, there are a lot of common mistakes that small businesses and agencies make when running their campaigns that not only lower the chances of ads being seen, but also increase wasted spend across campaigns. Simply put, negative keywords prevent your ads from showing for irrelevant keywords and phrases. For instance, if you’re running campaigns for a local car wash to bring in new customers, you would create a negative keyword for “jobs” to prevent your ads from showing to people looking for a job at a car wash. Since finding new employees is not your goal, you’d want to make sure you’re not wasting money by showing ads to these types of searches. Negative keywords can make a major difference when using broad match keywords, as these keywords will allow your ads to show up for variations of the keyword or phrase that you’ve chosen. For instance, if you’re ads are targeting the phrase “furniture store” your ads could show up for searches like “used furniture store.” In this instance, your company may not be selling used furniture so you’d want to include the negative keyword “used” to prevent your ads from running on these searches. When running PPC campaigns, your goal is to get as many leads as possible for your money, and with a lot of competition this can prove difficult. When it comes to high competition areas, you will often find that your competitors are running ads for your branded keywords, aka your business name. In many industries, companies may include keywords in their actual business name, such as “ABC Company Pest Control,” which means anyone targeting the phrase “pest control” can show up for your business name. In situations like this, it’s ideal to bid on your brand name as it greatly improves relevance in high competition areas, and can create a lot of low cost, high converting clicks for your campaigns. Of course, the traditional argument is that “we should be getting this traffic for free.” Which is true in most cases, but in cases of high competition or areas where you’re not ranking organically for your own name, bidding for branded keywords can be incredibly beneficial to your business. Forgetting to Use Ad Extensions. Ad extensions are ways to give your ads more real estate. The extensions give you an opportunity to add more information to your ad outside of your standard headline, URL, and copy. By adding a few more lines, a phone number, or discount code, ad extensions help ads stand out and get clicked. These small additions can help improve CTR and can improve conversion rates. With the integration of extensions into the AdWords repertoire, there is an increasing number out there that focus on conversions. For example, location extensions help local ads by letting businesses show their address, number, and map marker. This helps the ad stand out by letting you know it’s a local business and allows you to know exactly where it is and how to get in touch. The purpose of extensions is to help your ad stand out, get clicked, and convert leads. Each one is different, with their own rules and way to maximize them, but they all are integral when it comes to improving your PPC campaign. Split-testing is when you make small, specific changes to your add to determine if something works or doesn’t. Making small changes to the headline, call to action or the images used can show dramatic changes. The key is that, when you do change something, you only change one thing at a time so you can pinpoint effective strategies. Through split testing, you can compare two variations and see which one has a higher Click Through Rate (CTR) and thus, is converting more leads and driving sales. If you were running a campaign for a brand with an A/B split, the “winning” ad would have a 4.77% CTR and the “loser” a 0.34% CTR. The different title and copy changes can make a staggering difference. We always advise to make the “A” ad title match the search term as closely as possible, and it usually wins. When split-testing ads, it’s okay not always to follow the rules when it comes to best practices. It’s okay not to be perfect when testing, so something as simple as moving a form from one side of the landing page to another. Sometimes, to get better results, you just need to be better than you currently are – not perfect. It’s important to track every visit to a site from PPC by its specific keyword, campaign, or ad group. Having a campaign up and running that’s generating clicks is great, but in the absence of conversion tracking, you can’t see how many of those clicks are turning into leads or sales. This is the only way to calculate the effectiveness of your selected keywords accurately. However, what a conversion is can be different for everyone. Depending on the industry, a conversion could be a purchase through an ecommerce website or signing up for a newsletter. A survey, a call, a download, etc., can all be tracked as conversions. It’s important to identify the actions you want your users to take so you can follow them. When it boils down to it, knowing what keywords work and what don’t is the fundamental metric of success for everything involving PPC. By tracking your data and understanding what direction you’re heading in, you can optimize your bids, ad copy, and keywords accordingly. Everything associated with PPC is somewhat simplistic. Its difficulty comes from all its intricacies and, of course, it’s learning curve. At its core, a successful PPC campaign is centered around knowing who you’re talking to, talking to them in the way they speak, tracking it all, and using everything to improve. 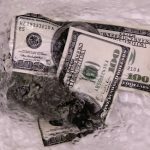 The problem with PPC is that when it’s used incorrectly it can produce results that aren’t making you money. The problem with that is that to utilize PPC you have to spend money. Taylor Clark is the Marketing Director for Tech Advocate Group in Baton Rouge, LA. He is a Certified Google Partner & holds multiple Hubspot certifications including Inbound Marketing & Growth Driven Design. He is our resident SEO, PPC and Digital Marketing Expert. Are you running AdWords campaigns for your business or working with an agency to handle them for you? 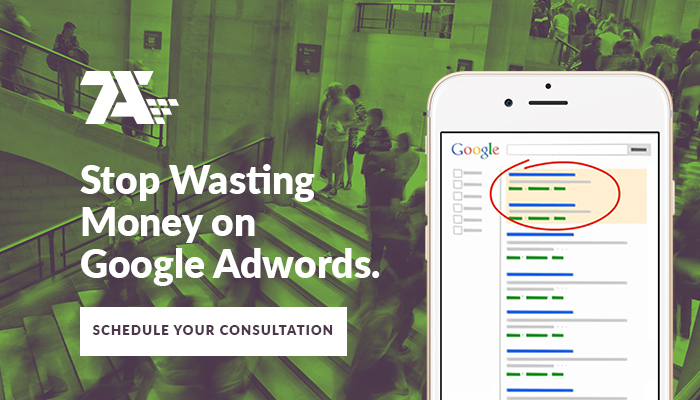 Find out how you can reduce wasted spend and capture more leads with a FREE PPC Audit!